Occasionally the patients will lash out at the nurses. I was only teasing him and suddenly he lashed out (at me) and hit me in the face. As he left the theatre, the singer was set upon by fans desperate for autographs. They booted him in the head. She booted the ball down the field. He kept booting the ball into the crowd. This is the remarkable moment a defiant woman fights back against Iran‘s stringent Morality Police after they confronted her about her clothes. 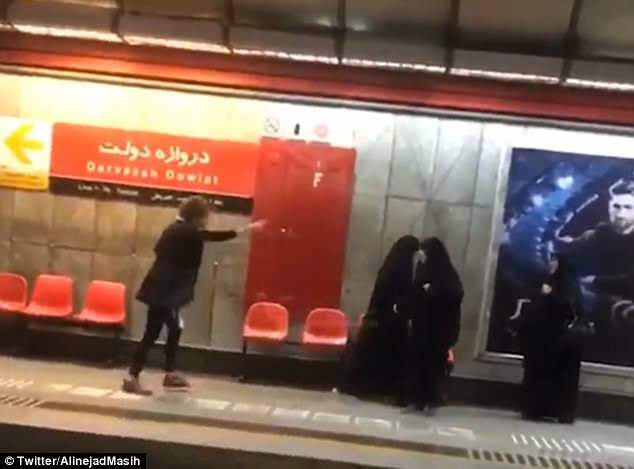 The unnamed woman was caught on camera taking a stand against a gang of agents at the Darzaveh Zowlat metro station in Tehran, Iran. 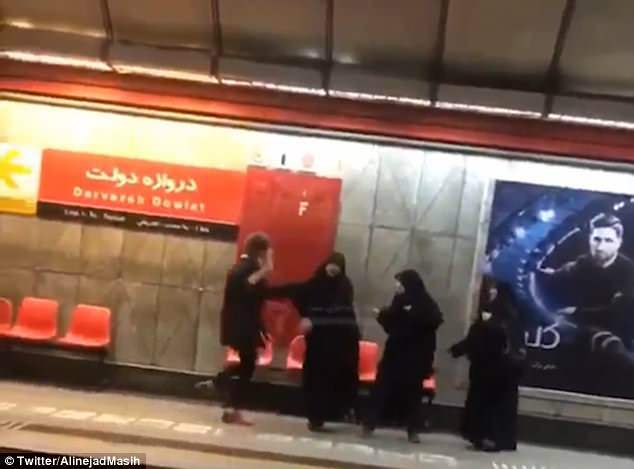 In the footage she can be seen booting one of three hijab-wearing policewomen after they took issue with her western clothing. ‘I will wear whatever I like. It’s none of your business. You aren’t my parents,’ she says in the clip as she chases them down the platform. He’s a remarkable young man. He was in a defiant mood. The safety regulations are extremely stringent. We need to introduce more stringent security measures such as identity cards. Stringent safety regulations were introduced after the accident. The government has taken a firm line on illegal immigration. I must take issue with you on the question of teachers’ pay. I take issue with parents who push their children too hard. One of the morality police officers then screams at her – calling her a ‘b****’. This is not the first time the Iranian morality police have been caught on camera trying to enforce strict religious clothing protocol. Plans to build a new nightclub in the neighbourhood have enraged local residents. Enraged readers boycotted the newspaper. It isn’t always easy for the police to enforce speed limits. The new teacher had failed to enforce any sort of discipline. We need to enforce the traffic laws. According to protocol, the new ambassador will present his credentials to the president. Last month, another woman was filmed being brutally beaten by a gang of agents after they deemed her red headscarf ‘insufficient’ coverage. 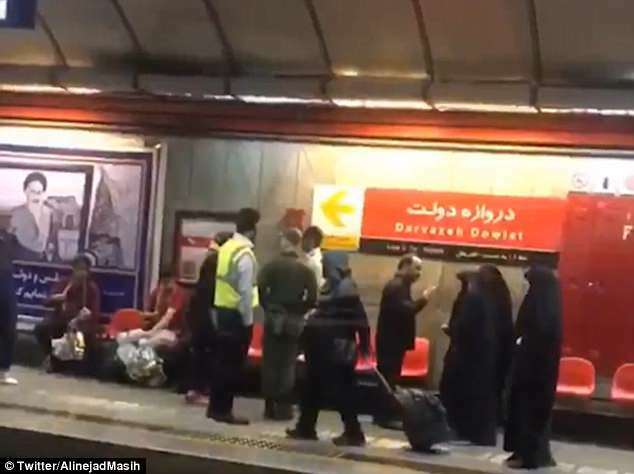 While in February Iranian police arrested 29 women for appearing in public without a headscarf as protests as they protested against the dress codes which have been in force since the Islamic revolution of 1979. In a further show of defiance several Iranian women recently took to social media to pose in public without their headscarves. Iran’s President Hassan Rouhani, a cleric who is considered a moderate within Iran’s political system, has previously criticised the morality police for their brutal tactics. The story was deemed too controversial and so they spiked it. She is currently deemed to be the best British athlete. The police had insufficient evidence to arrest him. 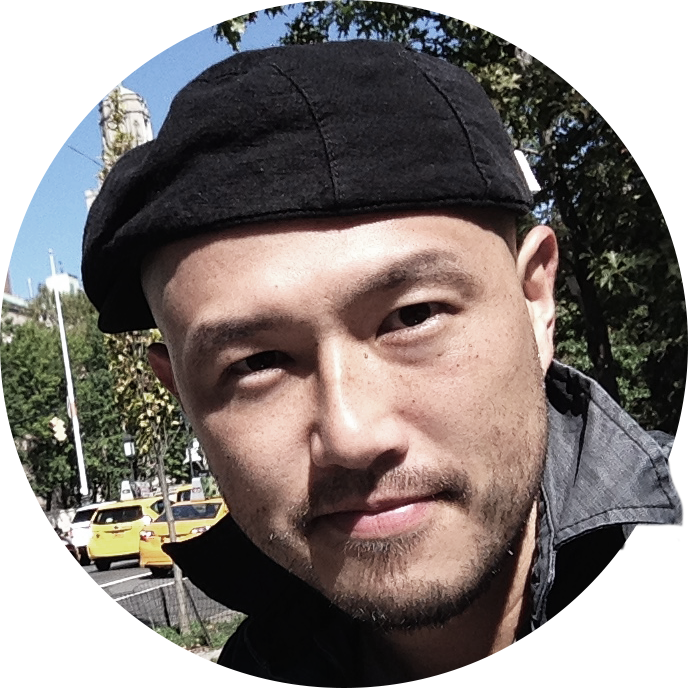 There was insufficient money to fund the project. The party is deeply divided between moderates and extremists. These bomb attacks represent a change of tactics by the terrorists. But Rouhani warned; ‘Grabbing people’s collars to promote virtue will not work. The hijab and loose-fitting clothing became mandatory for all women in Iran in 1979. He has the occasional cigarette but that’s his only real vice. My one real vice (= bad habit) is chocolate. It’s mandatory to wear a seat belt in the UK. The test includes a mandatory essay question. The team drew the ire of local politicians when it moved to a new stadium outside the city.